The company’s motion capture systems are used by game developers, researchers, filmmakers and medical professionals and they are now looking to expand into the consumer market. Dr. Tristan Dai demos a Project Fingertip virtual reality game using a Noitom motion capture glove. We are building completely new types of input devices which will further blur the lines between reality and illusion. Noitom, the company that is revolutionizing the virtual reality industry with user-friendly, affordable motion capture technology that can be implemented for a variety of applications—including gaming, sports and simulation—is currently exploring the development of a product line geared exclusively to the consumer market. The company's foray into the lucrative world of consumer technology is being touted as “Project Fingertip” while still in the early development phase. "The growth of the virtual reality market in the past 12 months is unprecedented," explains Tristan Dai, CTO of Noitom. "It was only natural that we apply our expertise in the field of motion capture to the development of input devices not only for professional applications, but ultimately for consumers to more naturally immerse themselves in virtual worlds." 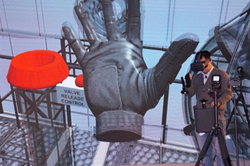 One of Noitom's earliest products in development for the consumer market is a glove that can capture detailed movements of the hand and fingers for virtual reality gaming and interaction. The Noitom team has been experimenting with the HTC Vive Lighthouse tracking system which provides accurate positional tracking for objects in the virtual space. The Project Fingertip experiments are the company’s first steps in creating consumer-friendly virtual experiences where they are looking to make an impact in a world where the only interaction has been through joysticks and controllers. "The work our R&D team is doing is very exciting," says Roch Nakajima, Marketing Director of Noitom. "We are building completely new types of input devices which will further blur the lines between reality and illusion — not only that but we hope to bring these devices to market within a year at consumer friendly prices." The first public look at the consumer products in development was during the HTC VIVE UNBOUND Developer Summit in Beijing on December 18. Dr. Tristan Dai presented two unique, immersive demos for Project Fingertip: The first, Last Stand, features a space setting where the user fights invaders using a laser. The Vive controller is attached to a prop gun that gives the user a realistic sensory experience of what they are holding in the virtual world. The second demo, Ball Factory, has users in an industrial setting with two controllers. One controller is attached to a Noitom motion capture glove and the other to a prop bin where the user can grab then place the balls. In both demos the user is able to interact seamlessly with objects in their virtual world. Noitom has released a set of videos for Project Fingertip that highlight each of the demos and give consumers their first look at what they might see in the coming months. Noitom will be showing both demos live this week at the sold-out UploadVR mixer taking place at The Palms Hotel in Las Vegas on January 7, 2016 during the CES conference. As part of a larger marketing strategy, Noitom is looking to develop key partnerships that can help them expand their opportunities for the consumer market. "Noitom has been developing strategic partnerships across industries," explains Haoyang Liu, CEO of Noitom. "Creating alliances with market leaders is propelling us to the forefront of the virtual reality stage — in China and around the world. As a result we have been moving to diversify our interests into B2B and B2C categories." The Noitom team will next be in Las Vegas for the UploadVR@CES event taking place at the Moon Nightclub at the Palms Hotel on January 7. Attendees will have the chance to experience both Project Fingertip demos during the event. To learn more about Noitom, please visit noitom.com. 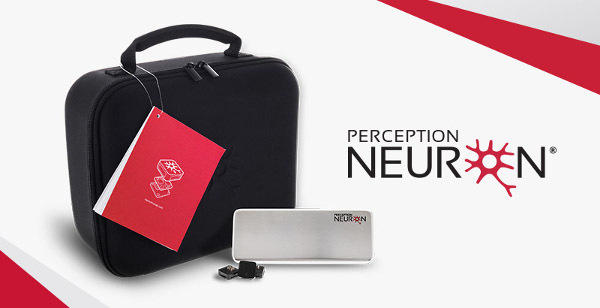 Noitom's Perception Neuron motion capture system is available neuronmocap.com.